Huge crowds in the Vatican cheered Pope Benedict XVI Wednesday as he made his first public appearance since announcing his resignation at the end of the month. He thanked the Roman Catholic faithful in several languages and said it was not appropriate for him to continue as pope. He appeared tired but not visibly unwell as he sat and read his remarks off several sheets of paper. Benedict also celebrated an Ash Wednesday mass marking the beginning of Lent at St. Peter's Basilica in the afternoon. A Tibetan man set himself on fire in front of a famous Buddhist shrine in the Nepalese capital on Wednesday, police said, becoming the latest Tibetan to adopt this harrowing form of protest over Chinese rule. Self-immolation began as a form of protest among Tibetans in China in February 2009, when a young monk set himself ablaze. In March 2011, another young monk followed in his footsteps, becoming the first to die. Scores of others have since followed suit. 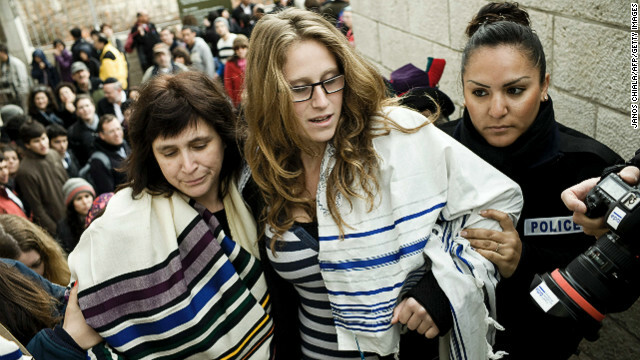 Anat Hoffman had no idea who comedian Sarah Silverman was until Silverman's sister and niece were detained with her Sunday in Jerusalem for wearing prayer shawls as they prayed at the Western Wall. Police detained 10 women for "performing a religious act contrary to the local customs." The group of women, who call themselves the Women of the Wall, went to pray in Jewish shawls known as tallitot that Israeli law says only Jewish men can wear there. Pope Benedict may have shocked the world by announcing his resignation on Monday, but some cardinals apparently started maneuvering for the succession as long as two years ago. Papal elections are among the world’s most mysterious, with no declared candidates and more bluffing than a high-stakes poker game. No cardinal can openly campaign for a job whose election is said to be inspired by the Holy Spirit. BBC Analysis: Analysis: What is the role of a modern pope? The Pope's vocation is spiritual, but one that requires not merely vigour in prayer but also in intellectual and political leadership for Catholics around the world. As Pope Benedict XVI said in his resignation address, this is due in large part to the needed public and political interventions in a world "subject to so many rapid changes and shaken by questions of deep relevance for the life of faith". Health and vitality, Benedict argues, are needed in a papal vocation, which also requires profound experience and wisdom. Cardinal John Onaiyekan of Abuja, Nigeria, was asked last week at the celebration of Black History Month in Toronto if he thought that the time was ripe for an African pope. His answer attracted much cheering from the crowd of over 500 Catholics of African descent. He said: "The time for an African pope was ripe even in the time of the Apostolic Fathers in the first century of the church." 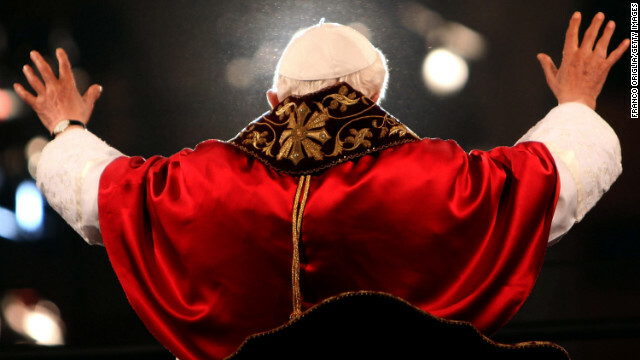 "I am not saying that I wish to be considered for the papacy, but the fact that the Gospel is to be preached to all peoples, languages, and races means that the highest leadership of the church should be open to anyone from any race, language and nation. I will not be surprised to see an African pope in my lifetime." 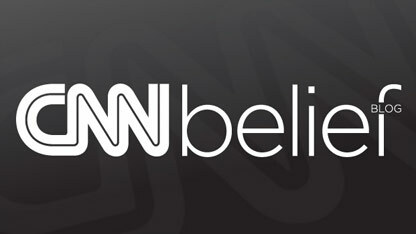 CNN: Why did the Pope resign? The questions reverberated from the Vatican to every corner of the Catholic world and left a billion members scratching their heads over something not seen since 1415 – why is the pope resigning now? 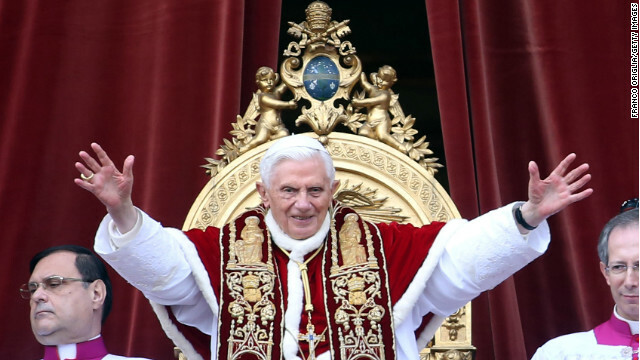 Pope Benedict XVI, 85, said Monday that it was because of his age. "I have come to the certainty that my strengths, due to an advanced age, are no longer suited to an adequate exercise of the Petrine ministry," he read in Latin to a group of cardinals gathered to examine causes for canonization. Been thinking about the transcon flight I took with my fundie coworker over this past weekend, and the conversation that we had during the five hour flight. And I have come to the realization that there is nothing that will ever change a believer's mind, or even make them admit that they have nothing, other than faith, to back up their claims of a god. My coworker said it best; Anything (or anyone) that contradicts that bible is wrong. They, the believers, have made up their minds and that is that, regardless of the fact that there never has been one shred of evidence to support the existence of a creator. Much less all the other rediculous things in the bible like some mythical flood story etc. The arguments we have here daily are the same ones I had with him. I started to think what else I could have been doing on that flight instead of having that discussion. Read, work on the computer, work on some music/languages or just take a nap. No, I wasted 5 hours listening to him rehash the same old and tired lines about why he believes and how everyone will burn in hell and how there is all this "real" scientific "evidence," but the scientists and the media won't talk about it because they want us to turn against god. One last nugget, there is appearently some caveate with god called "backsliding," which means a saved person can still sin, but it does not revoke their get into heaven free card. This fundie had an affair a few years back, but he has been absolved of that, in the eyes of god, so he is back in the in crowd. Really sick to use your "faith" to basically be a douch but still get to sleep well at night. Don't want to be "too long, too boring" with all this, just wanted to say goodbye. I just don't have the time anymore to waste going over the same ground everyday with people who espouse the views of people like my coworker, who is a carbon copy of the regular believers here. As I have posted many times, a mind is a terrible thing to lose, to religion. So, happy Valentine's Day to all of you. It has been entertaining posting with you all for the last year or so. Sad we will never meet, as some of you seem to be real standup guys/gals, my favorite peeps to be around. Dayum, NikNak, that's too bad. Sorry to see you leave niknak. It was nice hearing your thoughts on things. I have no illusions about changing the minds of the hidebound ones on this blog. I do, however, want them to know that we are looking out for realism and will not let their wild, unfounded, fantasy-presented-as-fact, assertions go unchecked. Plus, there are many who read but do not comment, who are open to hearing real things. Let's take a moment on this Valentine's Day to remember that the loving God really wants women to quietly remain barefoot, pregnant and in the kitchen where they belong... or dead, whichever floats your boat apparently.